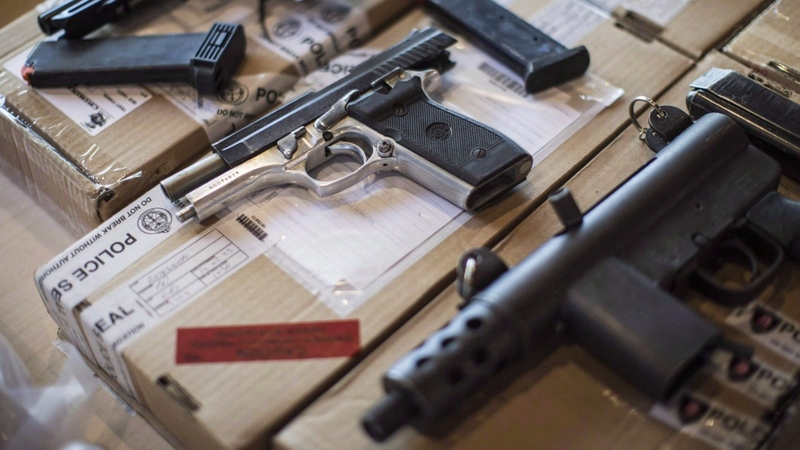 TORONTO -- Police and courts in Toronto will receive $25 million from the Ontario government to bolster efforts to fight guns and gangs, Doug Ford announced Thursday, saying the funds would give authorities the tools needed to deal with a recent rise in violence. 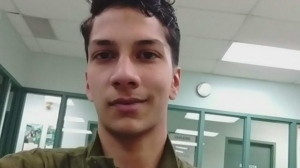 Toronto has seen a string of high-profile gun crimes this year, including a rampage that left two people dead in the city's Greektown in July, and a shooting on a playground that sent two young girls to hospital in June. In another incident, a woman on her way home from a funeral was killed in a drive-by shooting that police called indicative of a "street gang subculture." "It's time to get serious about fighting guns and gangs," said Ford. "No more talk. No more grandstanding. It's time for action." The premier said the provincial government's funding would make a difference across Ontario, and called on the federal government and the City of Toronto to match the investment. "Organized crime that starts in Toronto ends up spilling into Ottawa and other centres," Ford said. "Fighting guns and gangs will remain a top priority." 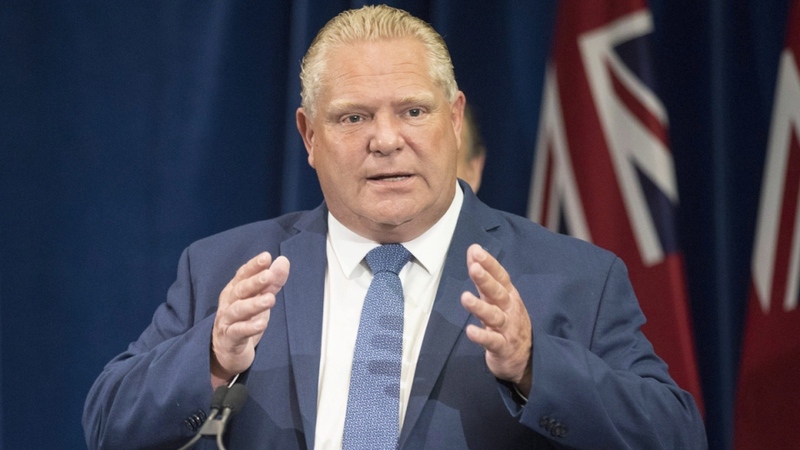 "We're going to hand over the money ... and they're going to be able to tell us 'this is where we think the money should go,"' Ford said, adding that the province did not plan to bring back the controversial practice of police street checks known as carding. Toronto's police chief said the provincial funding will give the force the ability to "be surgical" with apprehending those who use guns. "Each team will have only one mission," he said. "Keeping violent gun criminals behind bars and away from bail." The teams will also be supported by bail compliance officers who will monitor those who've been convicted of a gun crime and are out on bail. Ford stopped short, however, of supporting a handgun ban for the city of Toronto -- something the mayor has called for -- pointing to Chicago as evidence such a ban won't work. "They have a ban and guess what, last week they had 72 shootings," he said. "We have to re-focus all our resources on going after the bad guys, not the good guys." "We need to take a look at the issues of poverty," said NDP legislator Gilles Bisson. "Why is it that people pick up guns? Why do people join gangs? ... If you really want to deal effectively with guns, you've got to look at everything." Green Party Leader Mike Schreiner said Ford's announcement indicates the premier is putting his own ideology over evidence. "The Premier spoke of 'gangsters, thugs and bad guys,' showing his one-dimensional understanding of the root causes of violence and poverty," he said. "Making our streets safer is not simply a matter of 'hunting down the bad guys' as Premier Ford seems to think. Instead of working hand-in-hand to help affected communities, this government is focused on locking people up." Elizabeth Correia, a youth speaker and counsellor, said Ford's funding is only a part of the solution. The government must consult with communities on how its investment will impact and address mental health and poverty issues, she said. "Putting $25 million towards police but taking away money from programming and not developing programs that are going into these communities to help families, bringing communities together ... it's such a big problem," she said. "I want Toronto to remain one of the safest big cities in the world," Tory said in a statement, adding that if re-elected, he would support continuing the city's funding. "The safety and security our citizens enjoy is what has always distinguished us from other large urban centres and I'm determined to keep it that way."